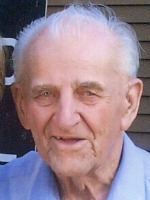 Donald W. “Don” Garthe of Plainwell, MI went to be with the Lord on Thursday, July 31, 2008 at his home, with his family at his side. Don was born on June 9, 1939 in Detroit and was raised there by his loving parents Paul and Helen (Yambor) Garthe until they moved to Kalamazoo when Don was a High School senior. In 1960 he began working at Peterson Spring where he eventually became a manager. Don worked at Peterson Spring until 1990, he opened D and D Spring in Portage in 1991 which he owned and ran until his retirement in 2001. 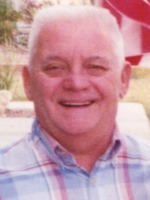 Don was a loving husband, father and grandfather, he enjoyed ham radio, gardening, woodworking, golf and camping. In 1974 in Kalamazoo, he married Margaret McSpadden, who survives. Also surviving are his 2 children, Walker (Terry) Toddy of Plainwell and La Donna (Mark) Edick of Schoolcraft; his grandchildren, Olivia Toddy, Hunter Toddy, Jonathon Edick, Charles Edick, Monica Edick, Kevin (Tara) Richter, Jamie (Rick) Moore; 1 great-granddaughter, Riley Jean Moore; his sister-in-law, Erma (Bill) Evans; his brother-in-law, John (Chris) McSpadden; and his brother, Jerry Kinney. He was preceded in death by his parents. Cremation has taken place. A memorial service and gathering of family and friends will be held at the Gun Plain Township Hall on 8th St. in Plainwell on Sunday, August 24, 2008 at 2p.m. with Kenneth Terry Jr. officiating. 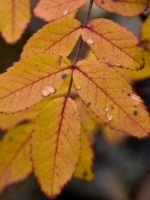 In lieu of flowers, those desiring may make memorial contributions to Hospice Care of SW Michigan. Bernard J. 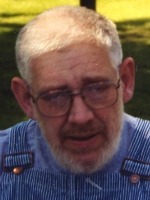 “Ben” Budzinski of Otsego, Michigan passed away Sunday, July 27, 2008 in Plainwell. Ben was born July 27, 1913 in Paw Paw, MI the son of John and Antoinette (Zurawski) Budzinski. He was working in a Ferris Foundry in Kalamazoo when he got pneumonia and was hospitalized. While still recuperating, his doctor advised him to find another job, and not go back to the foundry or he would end up back in the hospital. That was in the spring of 1936 in the middle of the great depression and jobs were hard to get. His lifelong friend from Paw Paw, Joe Kobe, told him about a paper mill over in Otsego that some guy from Wisconsin was trying to get re-started after a period of inactivity. Joe’s brother had been offered a job there as a pipe fitter, but he already had a job. Joe suggested that if Ben took some pipe wrenches in a tool box and told them he was Kobe, he’d probably get hired on. And that’s what he did, and got hired. However, it didn’t take long for the plant manager to catch on. “Ben Kobe, you’re not much of a pipe fitter, but you’re a good worker; how would you like to be a turbine operator?” Ben’s lack of experience with power turbines didn’t dampen his enthusiasm for a weekly paycheck, so he quickly accepted the offer of another career-broadening move. He continued to be known at the mill as Ben Kobe until 1937 when Social Security became the law of the land and all workers had to sign up and get a number. That’s when Ben was forced to set the record straight and tell the boss that he was actually Ben Budzinski. For years after, some old co-workers and friends continued to call him Ben Kobe. He retired from the mill in 1977 with 41 years of service. His hobbies were fishing, family and neighbors. On July 10, 1935 in East Chicago, IL, Ben married Irene Lillian Wawrzyniak who preceded him in death in 2002. Ben is survived by two sons; Norb (Carol) Budzinski of Penn Valley, CA and Bernard “Bernie” Budzinski of San Jose, CA; his grandchildren; Mark Budzinski of Sacramento, CA, Janice (Ken) Kaley of Nashville, TN, Dr. Jessie Budzinski of Chicago, IL; two great-grandchildren, Jack and Brett Kaley of Nashville, TN; a brother, John Budzinski of Santa Barbara, CA and a sister, Mary Bonarski of PawPaw. He was also preceded in death by his parents and his sisters, Victoria Matecki, Carrie Madigan, Daisy Rop Locke, and Helen Budzinski. Friends may meet with the family Thursday from 2-4 and 6-8 P.M at Winkel Funeral Home with a Scripture Service at 7:30 P.M. A Mass of Christian Burial will be held Friday, 11:00 A.M. at St. Margaret’s Catholic Church, Otsego, Rev. Fr. Donald P. Klingler celebrant. Interment will follow at St. Margaret’s Cemetery. In lieu of flowers, memorial donations can be made to St. Margaret’s School Fund. 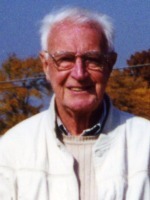 Lester A. Hermenitt of Otsego passed away Monday, July 21, 2008 in Kalamazoo. Lester was born December 13, 1945 in Plainwell, the son of Ray and Vera (Earl) Hermenitt. He was a graduate of DeltonHigh School and a Navy veteran of the Vietnam War. When he was living in Texas, he mounted horns from Longhorn and Watusi cattle. He enjoyed golfing and fishing. On June 21, 2003, in Orangeville, he married Shirley (Halstead) Vanorman, who survives. Also surviving are 2 daughters, Ruth (Mark) Roberts of Alabama, Christine DeVos (Rico Liceaga) of Plainwell; 4 grandchildren, Nicky, Jake, Diedra and Brandon; 2 brothers and 3 sisters, Raymond (Madeline) Hermenitt of Orangeville, Ann (Howard) Wilcox of Hastings, Charlene Hermenitt of Hastings, Art (Marie) Hermenitt of Texas, Eleanora of Flint; many nieces and nephews; 3 stepchildren, Beth (Ken) Meade of Plainwell, Tammy (Mike) Barber of Stevensville, Mike (Tina) Vanorman of Otsego; 9 step grandchildren, 1 step great granddaughter. He was preceded in death by 2 brothers and 1 sister, Richard, Stanley and Juanita. Friends may meet with his family from 6-8 P.M. Thursday at the Winkel Funeral Home, Otsego, where a service will be held Friday at 1:00 P.M., Timothy Secord, Funeral Celebrant officiating. Interment will be at Mountain Home Cemetery, Otsego. Memorial contributions can be made to the American Heart Association. Eleanor M. Black of Kalamazoo, Michigan passed away Friday, July 18, 2008 in Kalamazoo. Eleanor was born April 30, 1929 in Battle Creek, the daughter of Ira and Daisy (Russell) Stouder. She was employed with Parker Hannifin for about 30 years and for a time she had done foster care. She enjoyed traveling and taking care of her grandchildren. On August 10, 1957, Eleanor married Elmer Black of Alamo, who survives. Also surviving are their children; Gary Black of Kalamazoo, Bill Black of Indiana, Eric Black of Plainwell, and Debbie (Robert) Watts of Kalamazoo; 8 grandchildren; many great-grandchildren; a sister, Shirley Cammauf of Indian River; several nieces and nephews. She was preceded in death by a brother, John Stouder and a half-sister, Beatrice Pauling. Friends may meet with the family Monday from 4:00 – 7:00 P.M. at Winkel Funeral Home. Cremation will follow the visitation. There will be no service. Those desiring may make memorial contributions to Hospice of Greater Kalamazoo. Mrs. Frances L. Zantjer of Gobles, MI passed away Thursday, July 17, 2008 at her home. Frances was born September 6, 1916 in Lawton, the daughter of Herbert and Faye (Hamilton) Lofts. She was a member of the Seventh Day Adventist Church in Gobles and for over 10 years she worked in the kitchen at the YWCA in Kalamazoo until retirement. Her favorite pastimes were flower gardening and bird watching. Preceding her in death were her husband Albertus, her siblings, Rita, Gorden, Letha and Louise. Surviving are her son, Bruce (Pat) Zantjer of Otsego, her daughter Karen Zantjer of Gobles; two grandchildren, Scott (Faith) Zantjer of Gobles and Angela (Jeff) Zantjer Lin of Portage; ten great grandchildren, Mark, Zachery, Ben, Brook, Grace, Emily, Nicholas, Cecelia, Gabriela and Sophia; a sister, Mildred Vos of Portage; several nieces and nephews. Cremation has taken place and a memorial service will be held at a later date. In lieu of flowers, memorial gifts can be made to the Gobles Jr. Academy, 32146 6th Ave., Gobles, MI 49055 or Wings of Hope Hospice, 530 Linn St., Allegan, MI 49010. 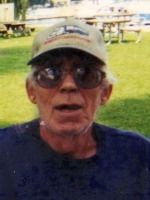 Lloyd D. “Dave” Pixler of Otsego passed away Tuesday, July 15, 2008 in Kalamazoo. Dave was born May 23, 1942 in Lancaster, Pennsylvania the son of Ward and Lillian (Davies) Pixler. He was a member of the LighthouseBaptistChurch in Plainwell. He was a historian, and some of his interests include railroads, gardening and woodworking. On March 14, 1964 in Kalamazoo, he married Sharon Kiel, who survives. Also surviving are his daughter Karen Hummel of Plainwell; his son, Norman (Dawn) Pixler of Kalamazoo; 4 grandchildren, Carissa (Nate) Taylor of Plainwell, Ronnie (Liz) Hummel of Plainwell, Tobias Pixler of Kalamazoo, Ridley Pixler of Kalamazoo; 4 great grandchildren, Caleb, Cadence, Colby and one they are expecting soon; 2 sisters, Rebecca (Bill) Harrison and Shirley (Darrell) Jackson; several nieces and nephews. Dave was preceded in death by his parents, and a son-in-law, Ron Hummel. Cremation has taken place. Friends may meet with his family on Thursday from 6-8 P.M. at the Winkel Funeral Home, Otsego. A memorial service will be held Friday at 2:00 P.M. at the LighthouseBaptistChurch, Pastor Jerry Bowen officiating. Interment of ashes will be at MountainHomeCemetery, Otsego. Contributions in his memory can be made to the Lighthouse Baptist Church Building Fund. Mr. Donald H. Bartels (retired Postmast of Plainwell, Michigan, ) departed this earthly plane to rejoin his heavenly father on July 5th, surrounded by his loving family in the peaceful setting of his home. Born May 22, 1927 in Kalamazoo, MI to Bernice Estella & Ethan A. Bartels. Married Iris Elaine Meacham on June 28, 1958 at MillwoodMethodistChurch in Kalamazoo, MI. He served in the US Marines from 1945-1946. He worked for the Kalamazoo Postal Service until 1972 when he was appointed as Postmaster of Plainwell, MI. He was involved in the Cub Scouts in the 1970’s. He served on the Plainwell City Council from 1980-1984. He was an active member of Plainwell Rotary in which he was a Paul Harris fellow. He has been a member of the first UnitedMethodistChurch for over 50 years. He served as Sunday school teacher for over 30 years, was a member of the Chancel choir, official board member, and Pastor Parrish Committee member. One of his proudest accomplishments was the completion of the Bethel Bible study. His mission in life has been fulfilled; to be a good man who provided for his family, loved them, taught them and guided them. He also provided love and care to others who needed him along the way. He is survived by his loving wife Iris of 50 years, Sons: Timothy Mark and Matthew John (Hali) of Plainwell, Daughter : Wendy Hope Karn (Gary) of Suwanee, GA. Eleven grandchildren, four great-grandchildren, Sister: Estella Vipperman, Brother: Herbert Bartels, Sisters-in-Law: Marie Middlestadt & Judy Harrington (Dan), many nieces and nephews, and many friends in Christ. He was preceded in death by his mother: Estella Page, father: Ethan, sisters: Helen, Dawn and Virginia, and brother-in-law: William Barnes. Cremation has taken place. Memorial service will be held at the First United Methodist Church of Plainwell, MI on Saturday July 12th at 11:00 A.M., officiated by Dr. Harvey Prochnau. In lieu of flowers, donations can be made to the First United Methodist Church of Plainwell, MI or Wings of Hope Hospice.